Welcome to Mull Magic Wildlife Walks and Tours, established by former Wayfarers International Walking Tour Director, Ruth Fleming, in 2005. Mull Magic is a small, family-owned business, and has a well-earned reputation built on the dedication and knowledge of its owner, who has 30 years' experience of walking and wildlife tours. Regarded as the friendly face of Mull’s wildlife, Mull Magic takes pride in the quality of the experience offered to guests. Cheerful, chatty and blessed with a sense of humour, Mull Magic aims to take guests on an unforgettable natural and social history journey. 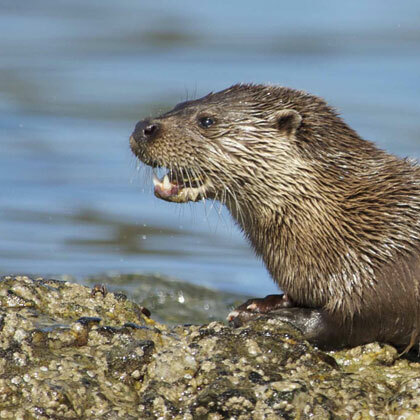 As well as promoting several themed excursions, like the ever-popular Eagle and Otter Walks, Mull Magic offers guests a chance to explore some of the more remote parts of the Isle of Mull. 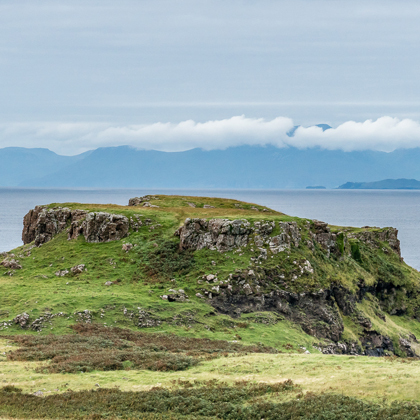 Packed with more than just a glimpse of the past, a walk with Mull Magic will introduce you to a hidden side of the island and its wildlife that many visitors fail to see. There are nine different walks on offer, ranging from easy graded rambles such as the Otter Detective Walk, to the more strenuous Mountain Walk. Click here for more information on the tours provided. Mull Magic can also offer bespoke trips on Mull, Iona and Ulva to suit the time you have available and your interests. Click here to see the Private Guiding options. 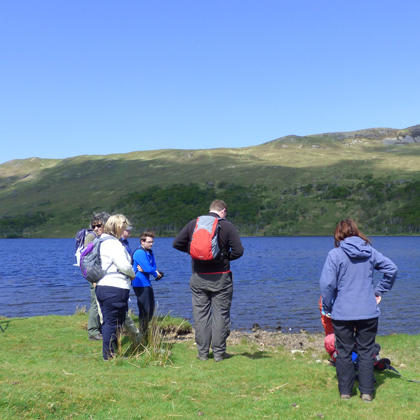 Mull Magic is enthusiastic and passionate about the social and natural history of Mull, Ulva and Iona and endeavour to educate and entertain on all of the walks and tours. It's not only eagles and otters that may be encountered during a day out with Mull Magic. 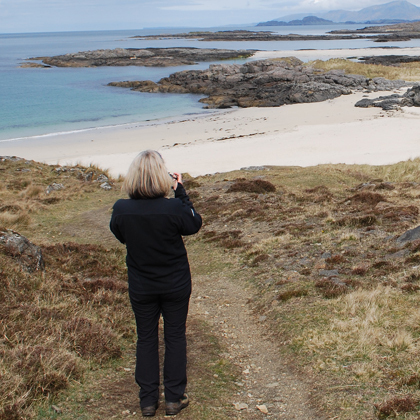 The Wildlife Walks feature idyllic island rambles through wild glens, past picturesque lochs, bubbling burns, cascading waterfalls and shimmering white shell-sand beaches. You will often discover deserted villages and walk along cliffs with magical views of exhilarating Hebridean land and seascapes.